Have you ever thought about doing a co-op in the fashion industry? 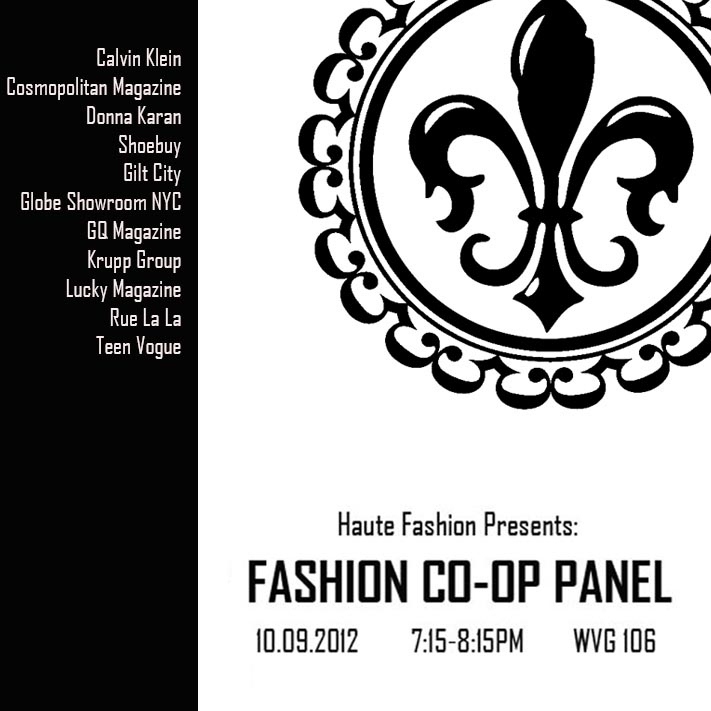 If so, our fashion co-op panel might answer a few of your questions! Panelists will tell all about their positions, responsibilities, struggles, favorite experiences, and much more. Come hear from students who have worked in PR, marketing, merchandising, writing, art, graphic design, and more. See you there!